I just love these hooded scarf patterns from over at Crochet N’ Crafts. 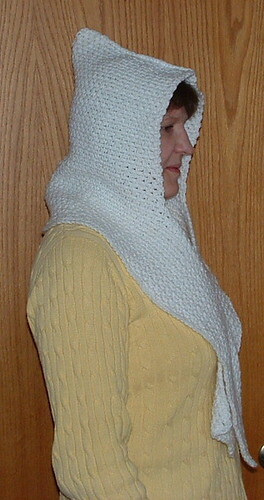 Here is the beginner hooded scarf pattern that I recently crocheted but with a twist. I crocheted this all in one piece.